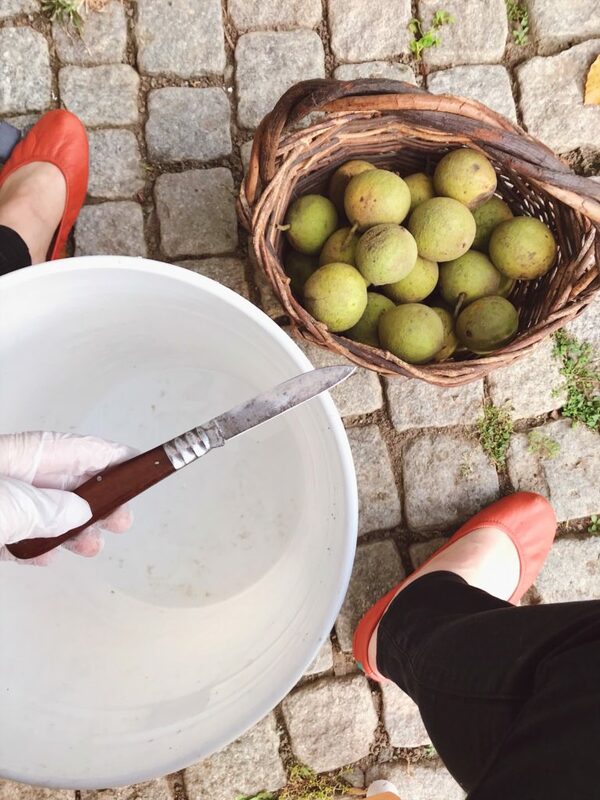 This is a story of How to Clean Black Walnuts, and I think you’re going to like it because now you’re going to be searching for them on your walks. You never know what treasures are out there that you didn’t even realize. One of my almost daily rituals at Tulipwood is to go for walks in the state park across the street. This year, there have been a plethora of green tennis ball-shaped things dropping from the trees and I had been just walking on by assuming they were horse chestnuts. Then one day we saw a lady collecting them along the road and we asked her about them. 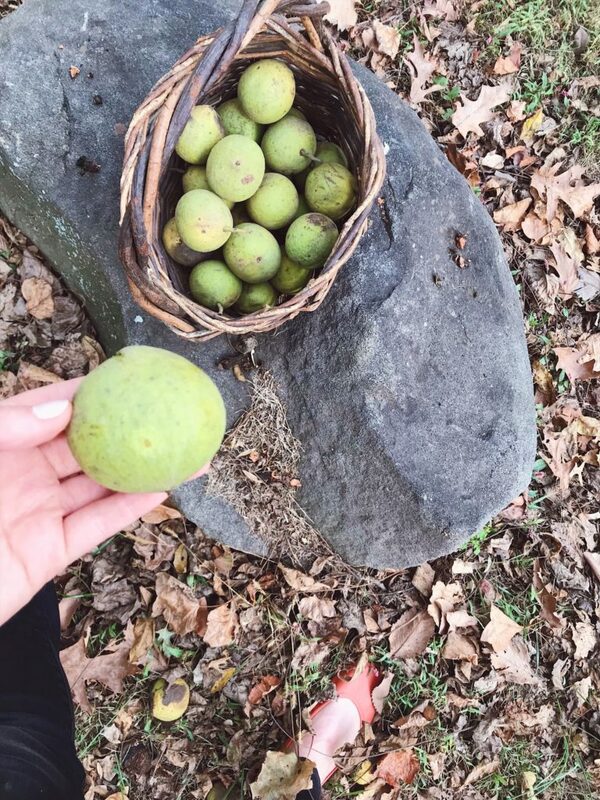 She told us they were black walnuts! 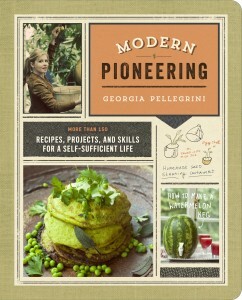 She owns a Greek restaurant in town and loves to incorporate them into her recipes. How wonderful is that? 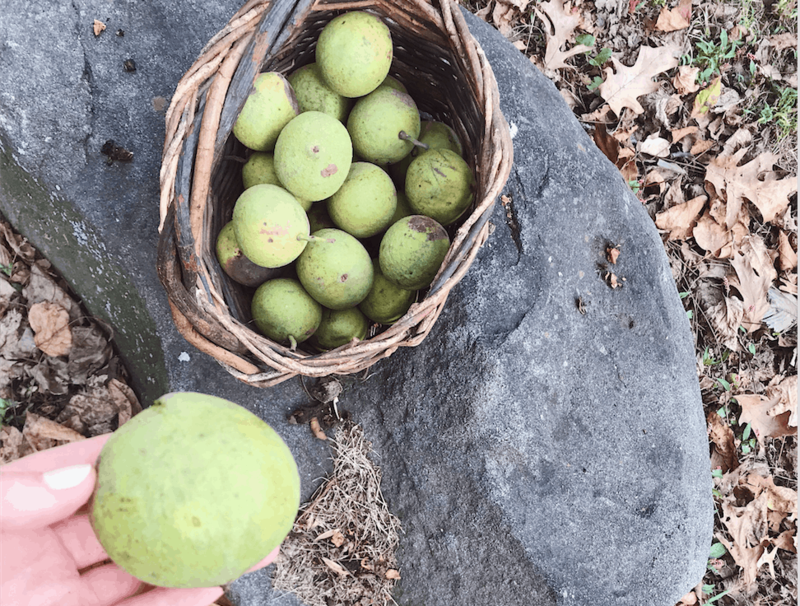 Black Walnuts are truly wonderful, and the wood incredibly valuable. 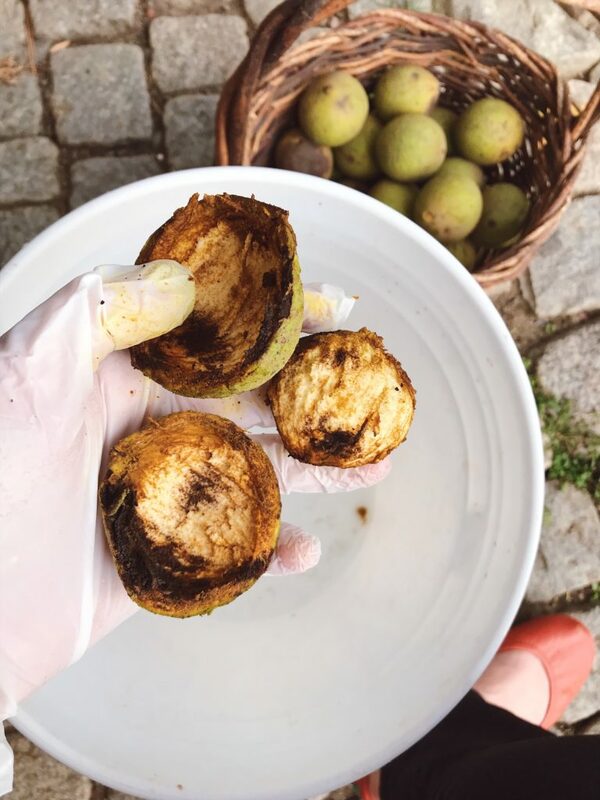 Keep reading to learn How to Clean Black Walnuts as well as some tips I’ve learned along the way. 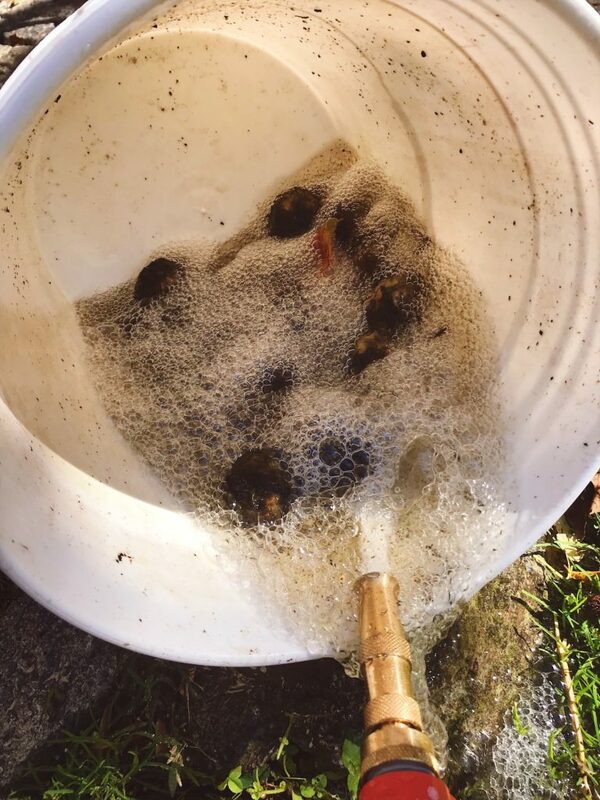 When I first went to collect them with my basket, they were dropping around me faster than I can scoop them up. It was truly amazing how many there were. It takes years for these trees to fruit. And when they do, they only fruit every two years. So this made it especially exciting. This was the moment! And I wanted to make the most of it. 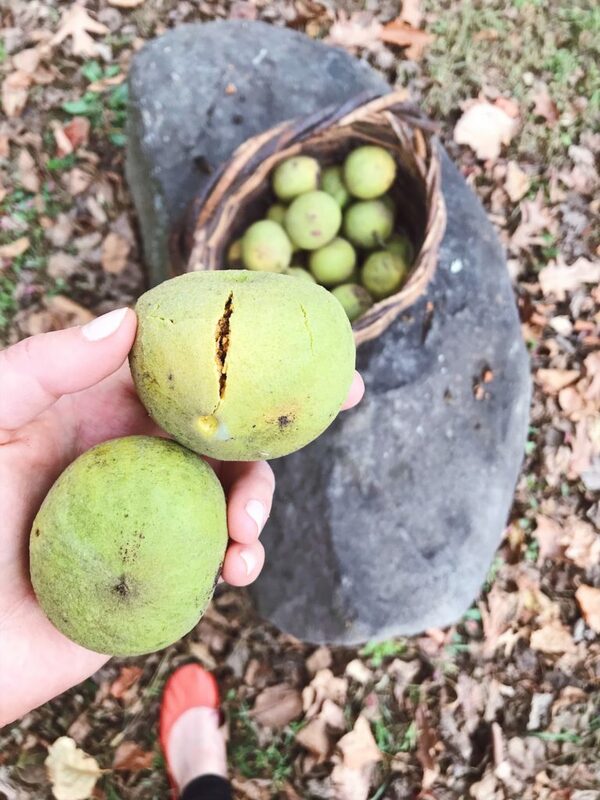 Although it is mostly valued for its decorative fine-grained wood, black walnut tree’s bark, root, leaves, and nuts all have medicinal properties. 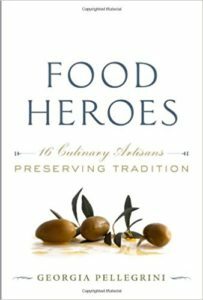 The thing about black walnuts though is that they are quite a chore. Cleaning them is another matter altogether. 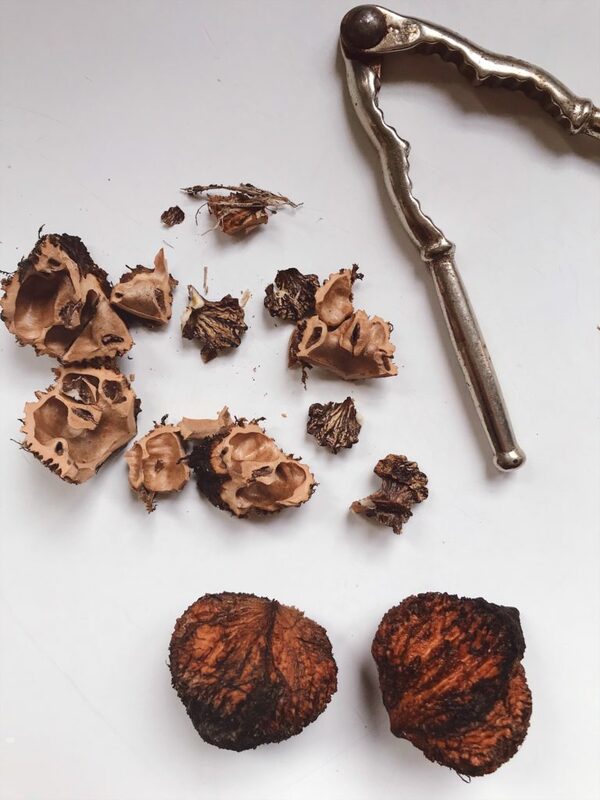 You start by cutting them open like an avocado but the seed is what you keep, it’s the tasty fruit. You need heavy duty gloves. Lesson learned #1: the ones I had on in the previous photo weren’t enough and the yellow residue from the hulls soaked through. The yellow stuff stains EVERYTHING and your fingers will be stained for days. Pro tip: don’t put these hulls in your compost pile or anywhere that you want things to grow, they are toxic to other plants. 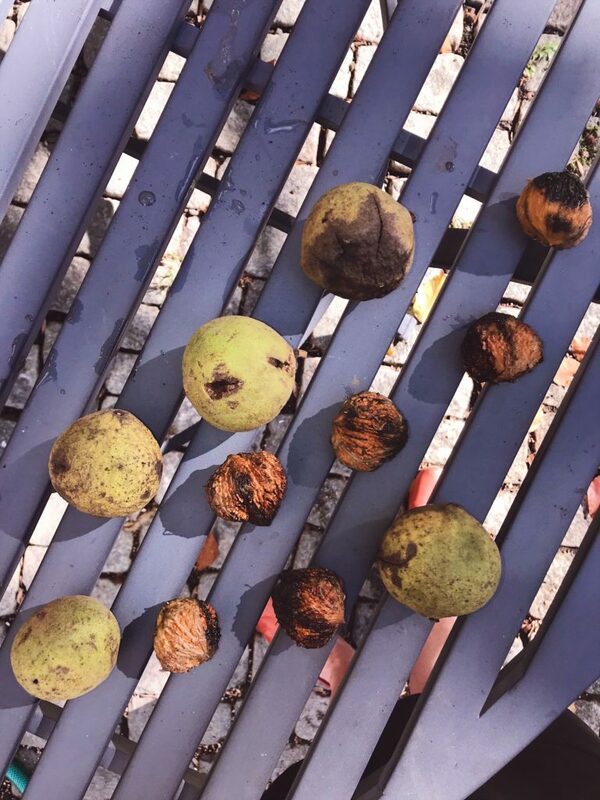 Even though the hulls aren’t good for your compost pile, the black walnut hulls contain juglone, a chemical that is antibacterial, antiviral, antiparasitic, and a fungicide. 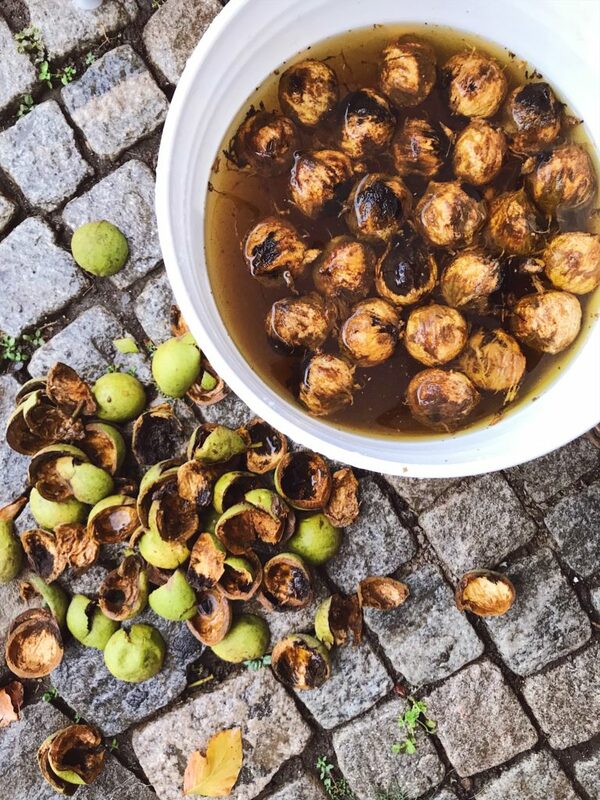 As a skin wash, black walnut hulls are used to treat ringworm and yeast infections of the skin. 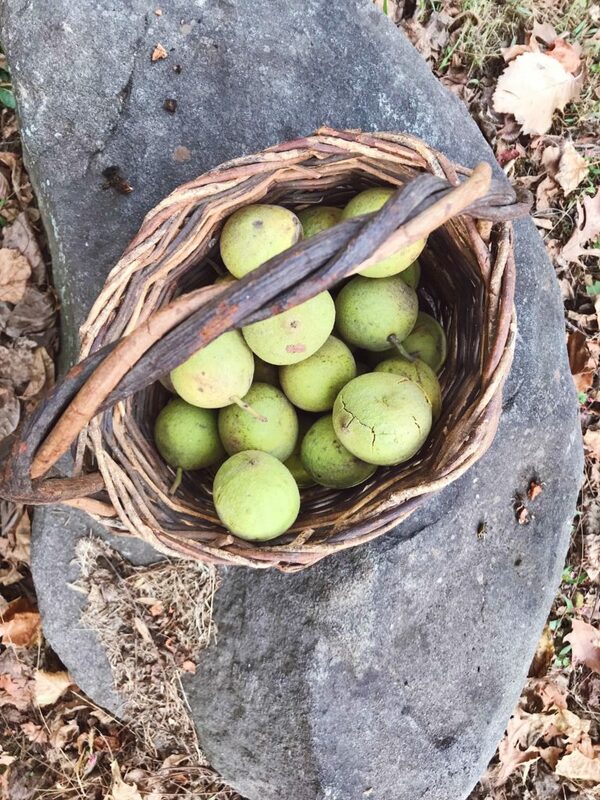 Taken internally, black walnut hulls are used to treat intestinal worms. There is also black walnut tincture which has wonderful medicinal properties. 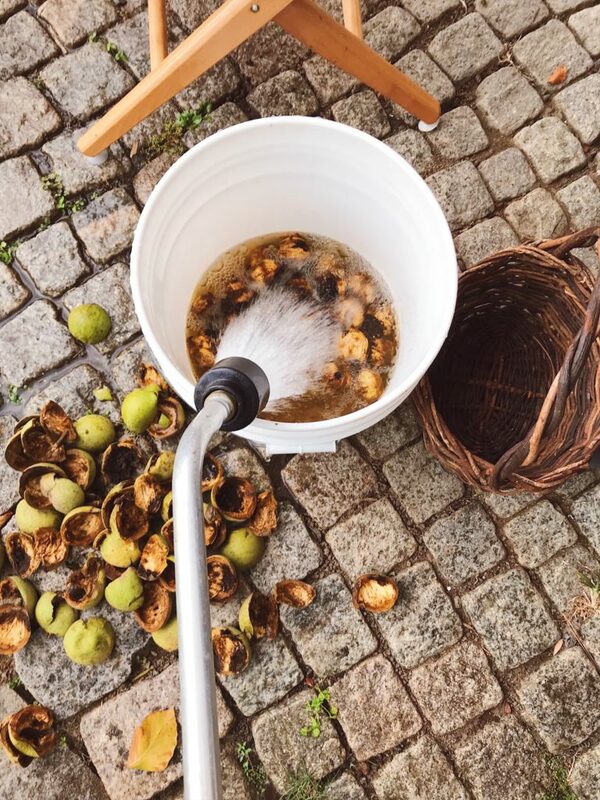 Drop your nuts in a bucket, hose them down and let them soak. They will still have a spongy residue on the outside. After a while the water will turn black! So you want to keep pouring it out and refreshing it. But don’t pour the water where you want plants to grow, find a rocky area because the liquid is toxic to plants. It will stain any stones you put it on so don’t use your pretty patio area. Empty and refill! You may do this over the course of several days. 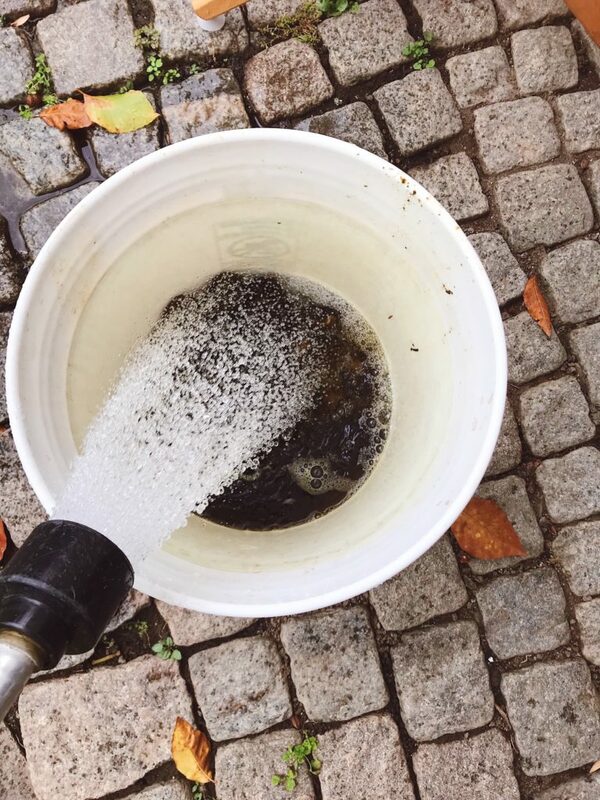 Important lesson #3: Use a hose with a power washer extension. I learned this when I realized the residue needed more force to loosen. 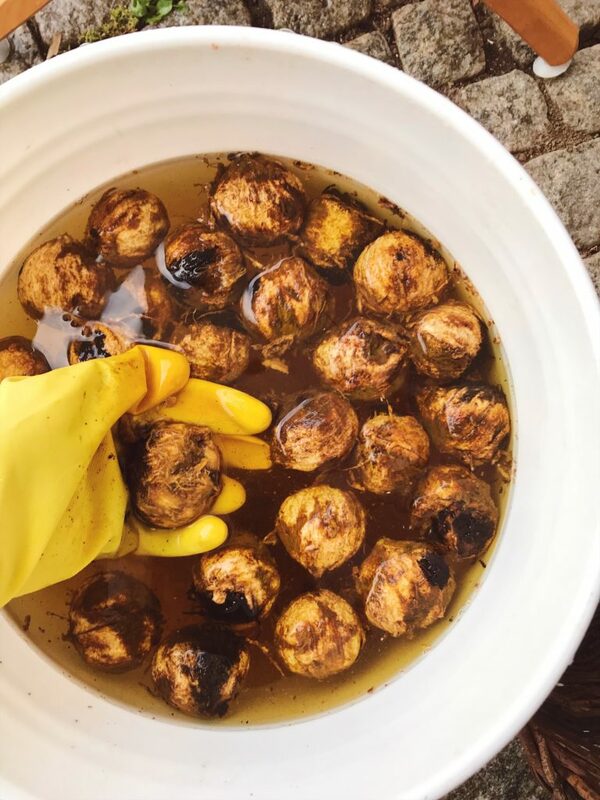 Once the water stops turning black and just a light yellow, you may want to scrub your walnuts to help remove the additional residue as best you can. It won’t be perfect but it will dry out in the sun over time. 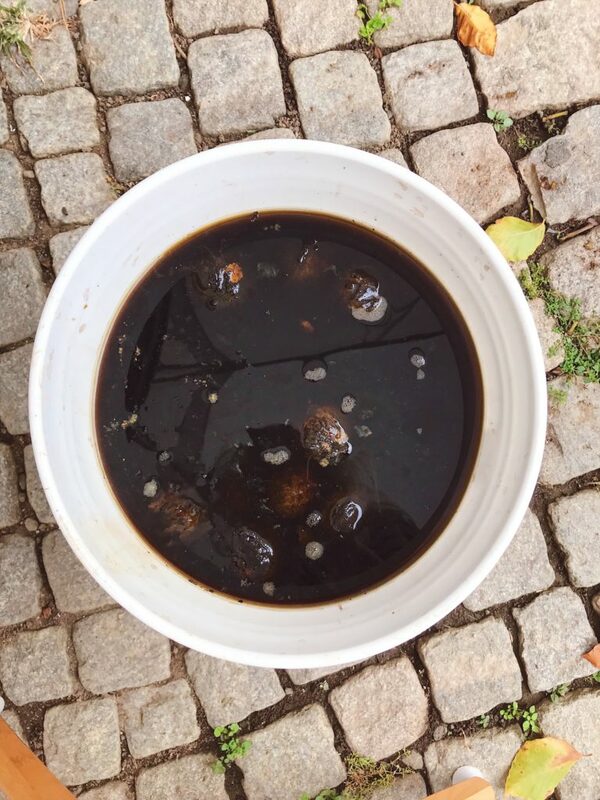 Note: if any walnuts float to the top of your bucket, discard them. It means they don’t have a nut inside. You can crack them open right away if you want to try them. They taste sweet, especially when still fresh and chewy. But ideally, you let them dry out over the course of 6 months or as long as you can stand it and they will break open much more easily. Granted this is a lot of work, but I think there is something just so gratifying about it. All that work makes them much tastier than anything you’d buy in the grocery store, don’t you think? 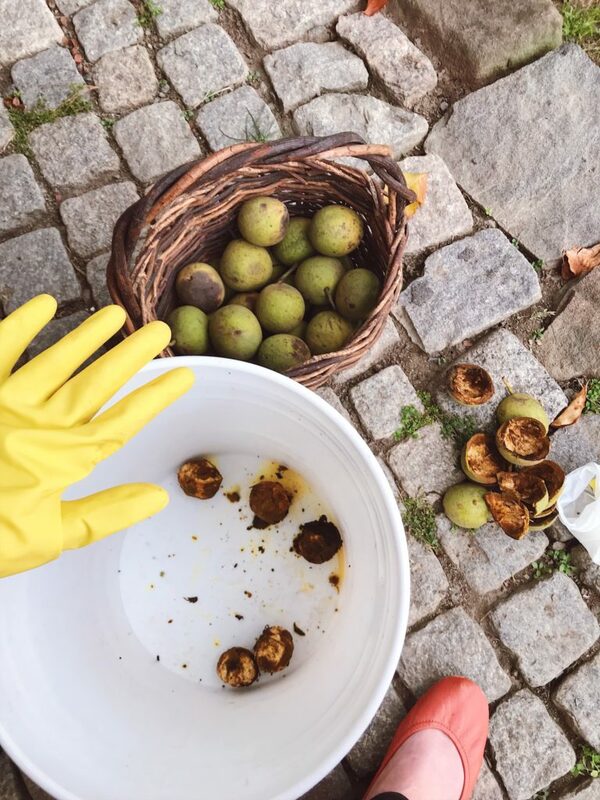 Have you ever cleaned black walnuts before? Share any additional tips with us in the comments! They make a beautiful dye for Easter Eggs???? 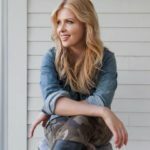 What a great idea Andrea! Thanks for sharing, I’m going to try that. 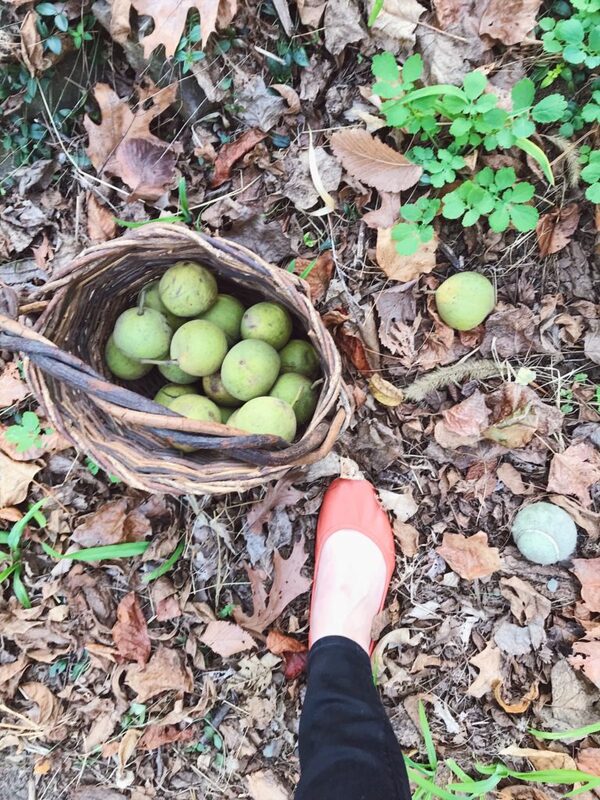 mY GRANDMOTHER HAD BLACK WALNUT TREES. 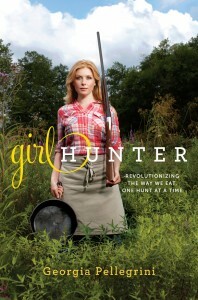 sHE WOULD RAKE UP THE WALNUTS, PUT THEM ON HER GRAVEL DRIVEWAY, AND DRIVE THE ’72 CADILLAC OVER THEM. HULLS WOULD COME OFF, WALNUTS WOULD DRY OUT AND SHE WOULD GATHER THEM UP FOR STORAGE. easy PEASY! Haha! Love this idea SO MUCH. I’m going to try that next time for sure. Grandma’s always have the best and most resourceful ideas. 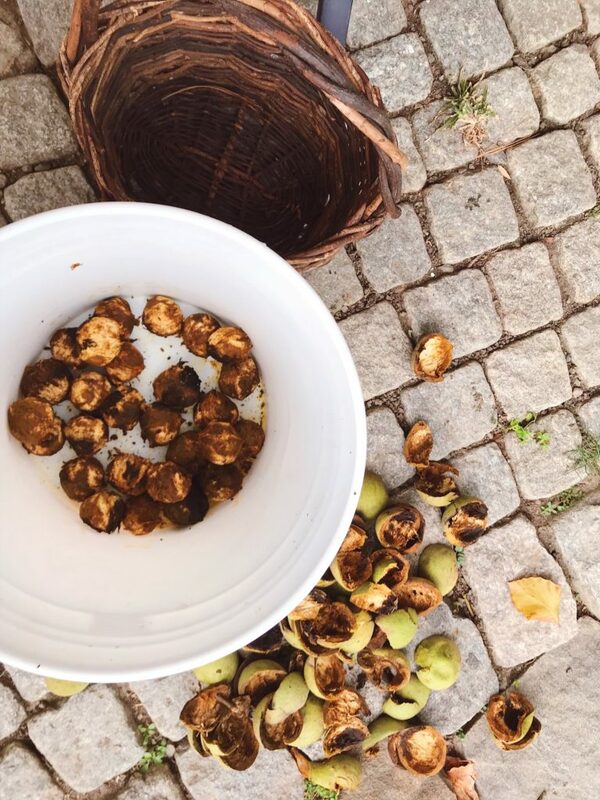 gRANNY’S IDEA IS THE BEST, ESPECIALLY WHEN DEALING WITH LOADS AND LOADS OF WALNUTS. pICK THEM UP, dUMP THEM OUT IN THE DRIVEWAY AND THEN LET EVERYONE WHO COMES TO VISIT YOU PLUS YOURSELF ASSIST IN HULLING THEM OUT. lEAVE FOR SEVERAL WEEKS OR EVEN MONTHS (IF SQUIRRELS DON’T FIND THEM) BEFORE PICKING THEM UP. bETWEEN THE CAR TIRES, RAIN, AND SUN, MOST OF THE WORK WILL BE DONE. NO NEED FOR HULLING INDIVIDUALLY, SOAKING IN WATER, SCRUBBING OR ALL THAT EXTRA TIME AND TROUBLE. 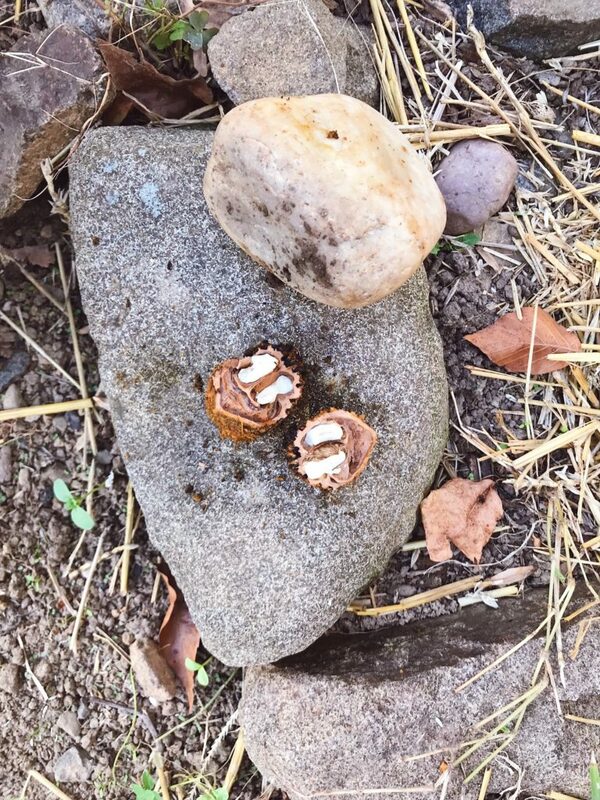 cRACKING OF THE WALNUT IS BEST ACCOMPLISHED WITH A HAMMER. aFTER A FEW DOZEN NUTS YOU WILL DEVELOP THE RIGHT AMOUNT OF PRESSURE TO WEILD WITHOUT DESTROYING THE NUT INSIDE. 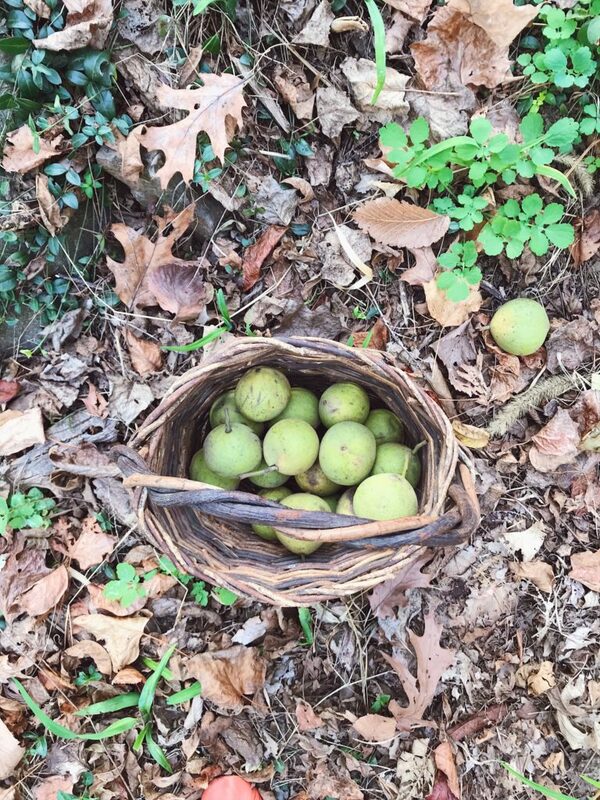 tHIS WAS A GREAT YEAR FOR WALNUTS HERE IN TENNESSEE AND i HAVE 30 GALLONS OF HULLED WALNUTS TO ENJOY THROUGH THE WINTER AND INTO THE YEAR. wALNUTS TREES MAY HAVE YEARS WHERE THEY BEAR FEWER NUTS BUT THOSE HERE BEAR EVERY YEAR ONCE THEY BEGAN. Thanks for the tips Danny. I actually found that the squirrels really gobbled them up so they needed to be collected before they did! What would you suggest in that case?